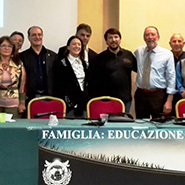 UPF organizes seminars and conferences related to strengthening marriage and family. 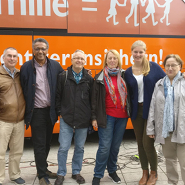 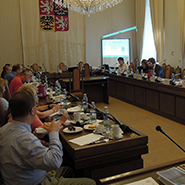 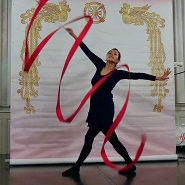 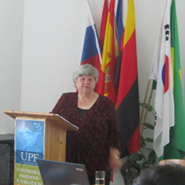 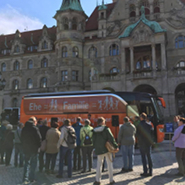 Bonn, Germany—Attachment, the deep emotional bond that underlies the parent-child relationship, was the topic of a talk organized by UPF. 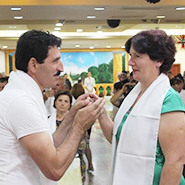 Bangkok, Thailand—Thirty-four participants from 10 nations participated in an Asian Leadership Conference (ALC) that took place in Bangkok. 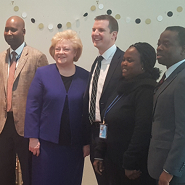 New York, United States—During the 62nd session of the UN Commission on the Status of Women, UPF co-sponsored a program on empowering rural girls and women. 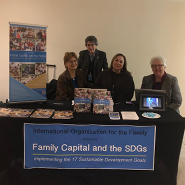 New York, United States—UPF was one of the organizers of a book table at the United Nations which promoted the family as fundamental for social development. 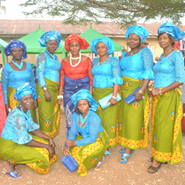 Diakuma, Nigeria—More than 120 couples participated in a Marriage and Family Peace Blessing Festival co-organized by UPF in Imo State in southeast Nigeria. 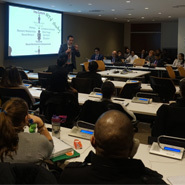 New York, United States—UPF was one of the sponsors of an event held at the United Nations on the importance of fathers to the development of their daughters.